Online swim suit shopping is the only way to go! I am so jealous of your long torso. I read reviews and if people complain about the suit being too short I know it's the one for me. The first plunging V neckline suit you posted from Nordstrom is by far my favorite cut of suit. Happy shopping! These are beautiful! The hardest thing I have is finding suits that are modest and attractive on you! Modesty is a high priority for me but not sure where to find attractive and modest suits! Always love your posts! Lord and Taylor carries a nice variety of swimsuits and cover-ups. Also, I believe you can order long waisted suits from Lands End. Thanks for blogging, Erika. I enjoy your posts. Nordstrom's is always my go - to! Have you tried ordering a one piece in a tall? I always do this! I also have a long torso and feel the sadness of a romper never fitting! I have purchased a few super cute tankini's from swim spot. I know jcrew has tall one piece bathing suits as an option. I live in Canada so ordering is a bit more trouble for me but I assume it's easy for you to try there! I have the best luck with swimsuits at two ends of the spectrum...Nordstrom and Target! This post is making me ready for SUMMER!!!! I bought mine at Albion Fit last year and am still in love with it. The quality is great, and you can mix and match a lot of the pieces! I also have a super long torso (never in a million years could I wear a romper) and I've had a lot of luck with target one piece suits fitting. They'll only last a season but they're cute and cheap! I'm ordering from Cupshe.com this year. Their swimsuits are so cute!!! I was a loyal Victoria's Secret swim fan, but they quit making suits. BOOOOOO! My body has long passed the Pink suits, so I'm on the hunt for a new place. I might try Athleta, and super jealous of your long torso, I'm so short wasted that it's super hard to find a suit that works. One of my favorite years of swimsuit shopping was when we went! So fun! You know I love a one piece, but I haven't found one that will work out this year! ;) I am going to keep on trying! Haha! I found both mine at TJ MAXX but you have to go in. I also got the Batiste dry shampoo there for $4.99. I too LOVE ruffles but they don't do me any favors either-lol! I did just order a classic, navy gingham one piece from J.Crew and I love it! I need a white linen cover up, some cute sandals, and a beach hat and I will be on my way! I believe J.Crew makes long torso swim suits in a variety of styles. I've worn their suits for years. Most of my suits are one pieces and they cover you but also don't make you feel like you're an 80 year old. As a former swimmer who was constantly in the pool, these suits LAST compared to my racing suits. They are comfortable, made of quality fabric and have a variety of styles and colors. Now they'll have their summer suits but the time to buy them is in the fall/early winter when they are on super sale. Usually the long torso suits are always available. Lands End & their virtual model have worked for me in the past. I ordered the ruffle one piece from old navy this year and I love it! I can see that it wouldn't work if you're long torso and honestly, I haven't had a one piece in years but it's super cute on! Great topic! I recently discovered swimsuitsforall.com.... I like to describe my body type as bikini on top, mumu on the bottom. My upper half looks awesome in most bikini's but because I have a curvier body, I prefer a highwaisted swim skirt to tuck in the tum and cover the thunder thighs :) Swimsuits For All covers all sizes and sells lots of separates as well as some awesome swim dresses. And Ashley Graham is their main model... she and I are currently having a moment. She is my absolute favorite body-positive icon. Good luck in your search! Honestly I only buy JCrew swimsuits because they last FOREVER. My first bikinis (from 15 years ago) still fit me and look new because they're JCrew. I also love JCrew because they're the only ones that completely cover my rear end and don't move. I saw online this year that they're offering one pieces in long torso sizes so I'm tempted to try them since I too have a very long torso and shorter legs! They're cute, but their online reviews are horrible. Looks like most buyers do not receive their swimsuits. I too have a long waist so I'll use that as my excuse to never get a one-piece. In reality, it's the fact that I will not strip that thing down to go to the bathroom! My issue is that I love the look of so many bathing suits that will give you the absolute worst tan lines when you try to wear cute tank tops and strapless shirts. Albion Fit! A little pricey but their suits are amazing! JCrew! 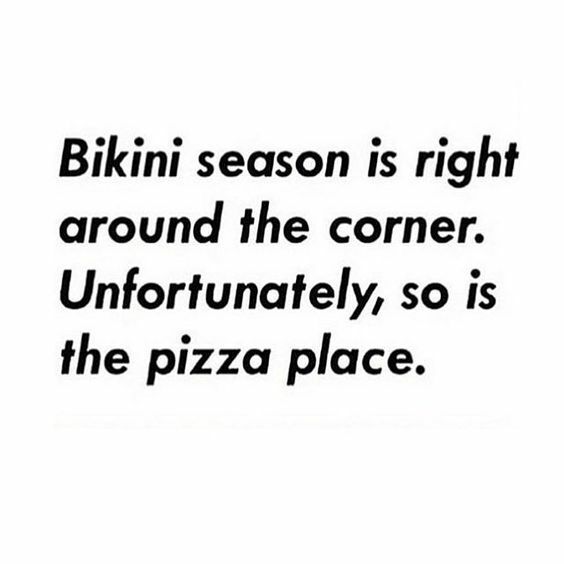 I have a long torso and several of their one pieces come in long. Life changing! They also hold up well and comes in several cute prints and styles. Check them out! Those graphics have me cracking up! Such a good post!! I have just started reading your blog! Love all your posts! I am also long waisted and can't wear a one piece, so I love my Kenneth Cole ( from Dillard's) black skirted bottoms. I like my tail to be covered chasing after my kids! 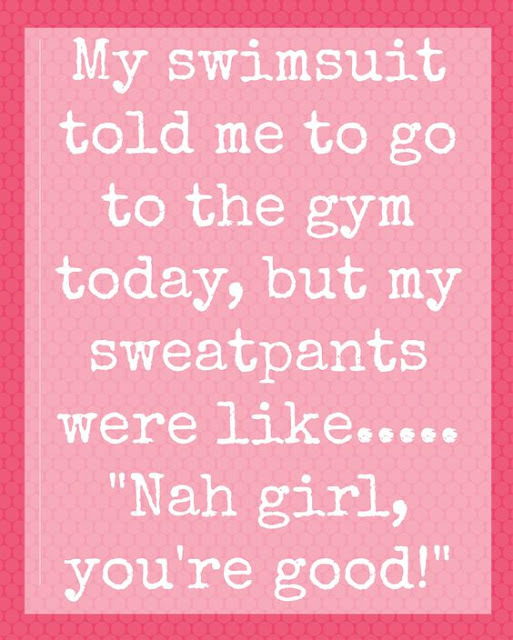 And I wear a long sleeve rash guard or a tankini top from JCrew. Those are my favorites! Gotta' tell you Erika, I'll trade your long torso for my short torso any day. I'm terribly short waisted and trust me when I tell you it's equally as challenging. 😩 I feel your pain. Fingers crossed we all find a swimsuit we love!!! The tanning cream before trying on is a great suggestion! This is my LEAST favorite topic as a plus size girl. It's so hard to feel confident when you've got all the fluff on display. However, my favorite suit is FIT 4 U. I bought mine from QVC. I've run the spectrum of buying suits! I would try Albion fit (online, local to salt lake) and lolë is another place to try, again local to Utah. I also like Davinta Sole (they do road shows at Costco in Utah) and they have a different suit for all body types. They're really long so long torsos they cover! I have a tankini that looks like a one piece, top and bottom are the same. You out your body type into the website and it tells you which suits will fit you best. Trust the guide it's accurate! Good luck! Now I've got to get into swimsuit shape! I love the look of the high neck suits as well, but my biggest factor when getting a suit is the tan lines I'll end up getting. I just ordered a swim dress from Athleta. I'm hoping I'll like it. It's different from anything I've ever worn, but thought it might be a fun piece to have. I buy all of my swim suits (and bras) from figleaves.com. They carry a HUGE selection of bathing suits that are sized like bras, so I know that the top is definitely going to fit, and I just order bottoms that I know will suit my body type. Plus, the brands they carry are very high quality and last for many seasons. And the bonus: they almost always have sales on the go. I just recently bought 4 suits for under $100! The past 3 years I've bought my suits from Diviine Modestee and have been so, so satisfied! I've bought mix and match sets each year, so I can wear bottoms from last year with a top from this year or last year. It gives me more options! I also like that they're made for women (as opposed to teenagers) because after nursing two babies, my girls need a little extra support, if you know what I mean. I highly recommend them! I was just coming here to mention Jcrew as well! Most of the one pieces have a long torso option. I will be rocking a maternity suit this summer. Ha!!!! Oh goody!!! Thanks for your blog. I just landed up in your blog and I really appreciate your blog. It is full of resourceful information. As one of the leading Swimwear Stores South Florida, we provide gorgeous swimwear collection so you can hit the beach with style and confidence.